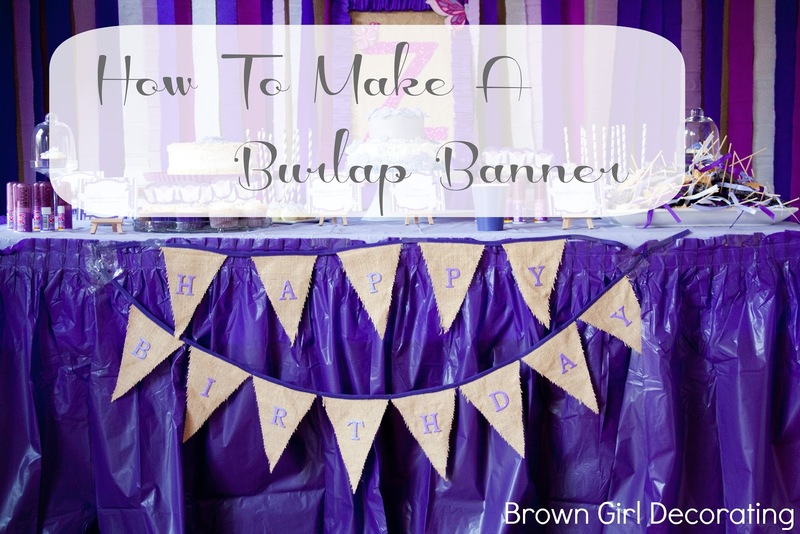 Today I want to share with you my tutorial for a cute little burlap birthday banner. 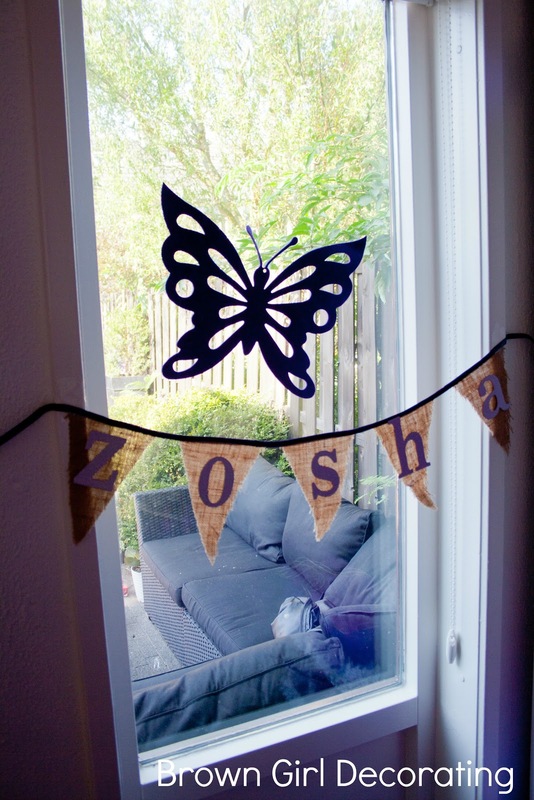 This is the last of the decorations I made for the purple butterfly party I talked about last week. This was my first ever banner. 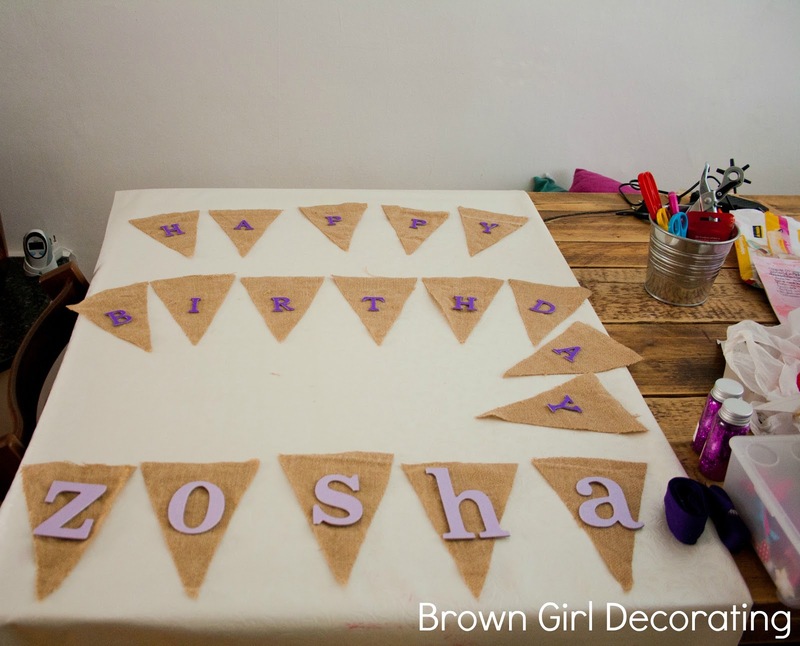 This is such a nice and easy project to add a touch of handmade goodness to a party. I had a big piece of burlap in my stash that I had for ages. 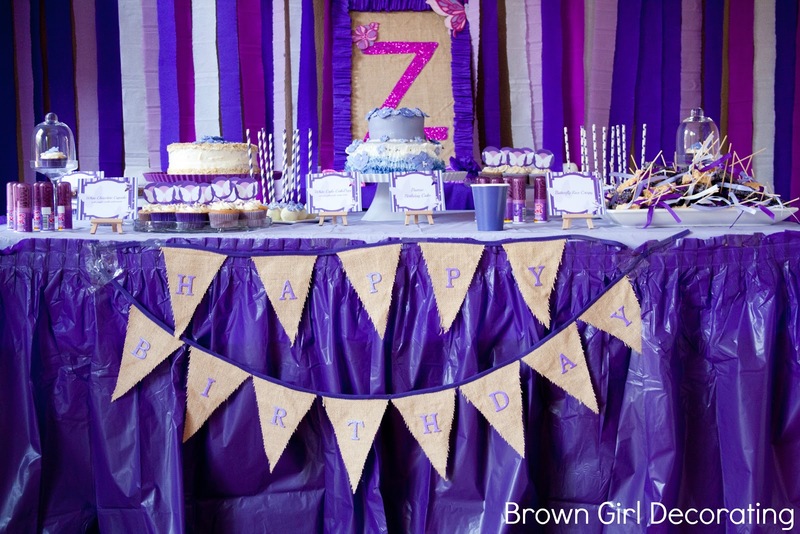 I decided that burlap would be a good fabric to use on my decorations for the purple birthday party. As a contrast for all the purple. Don’t mind the glitter in this picture. I decided to use this on my big initial sing instead. I started by making a triangle template out of a cereal box. 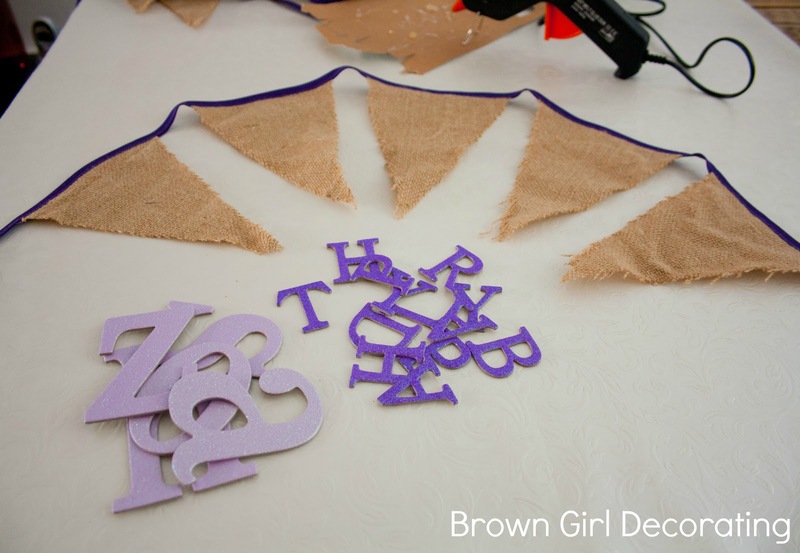 After that I cut out a bunch of triangles out of the burlap. As you can see I do most all of my crafting on our big dining room table. Yeah that’s just how I roll. To make sure I had enough burlap triangles I laid out all my letters before attaching the bias tape and the letters to them. I chose to make three separate little banners so it would be easier to reuse the banner an other time. 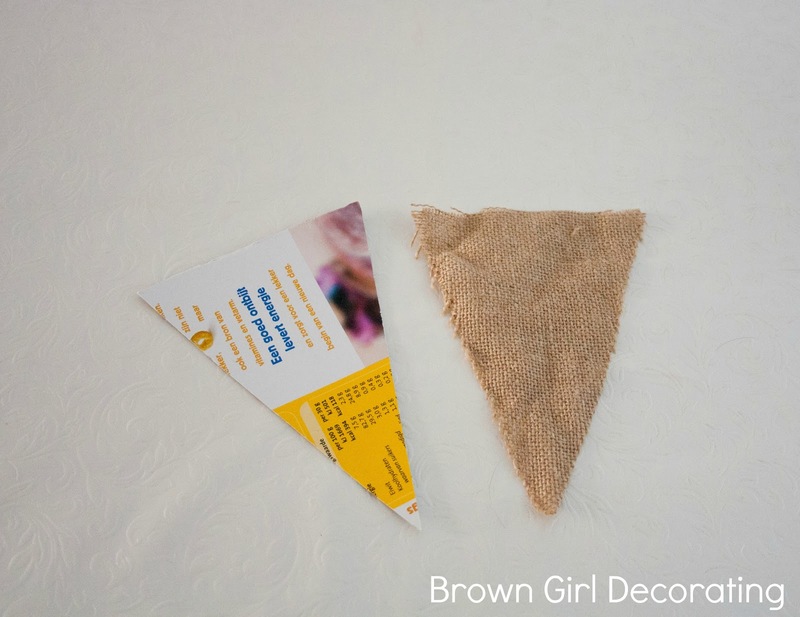 I used my sewing machine to attach the burlap triangles to the bias tape. Of course you could just use your hot glue gun here. Finally I attached the cardboard letters to the banner using my hot glue gun. And there you have it cute burlap banner all done! 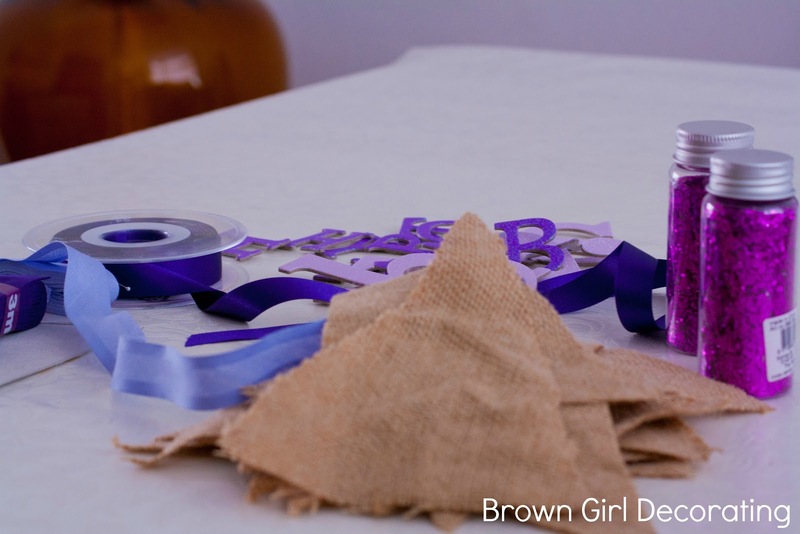 Have you missed the other decorations I made for the purple butterfly party? Well here are the links to check them out. Stop by again. Till next time.